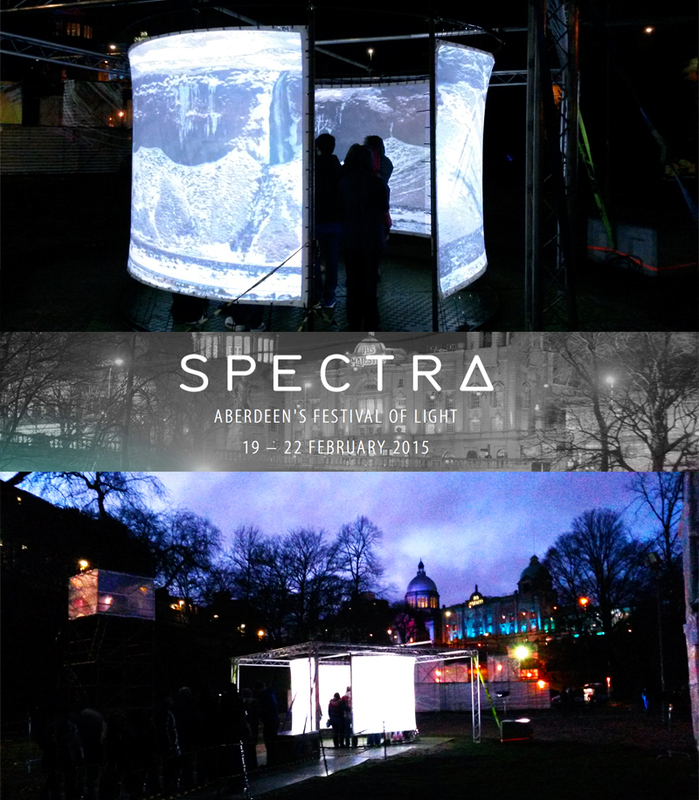 I recently returned from Spectra Light Festival in Aberdeen. I had scored the soundtrack for Andrew Brooks’ Immersion film of Icelandic landscapes. The festival was very well attended and I felt proud (if not a little bit guilty because of the cold!) that people were queuing to watch the work in its entirety. I was pleased to meet some of the other artists at the festival in particular Ulf Mark Pedersen and Kathy Hinde (www.kathyhinde.co.uk), whose work you should definitely check out for its inventiveness and magic. Posted on 28/02/2015, in General and tagged Aberdeen, Andrew Brooks, Curated Place, Icelandic landscapes, Immersion, Jack White, Kathy Hinde, photographer Andrew Brooks, Spectra Festival Of Light, Ulf Mark Pedersen, Union Gardens. Bookmark the permalink. Leave a comment.